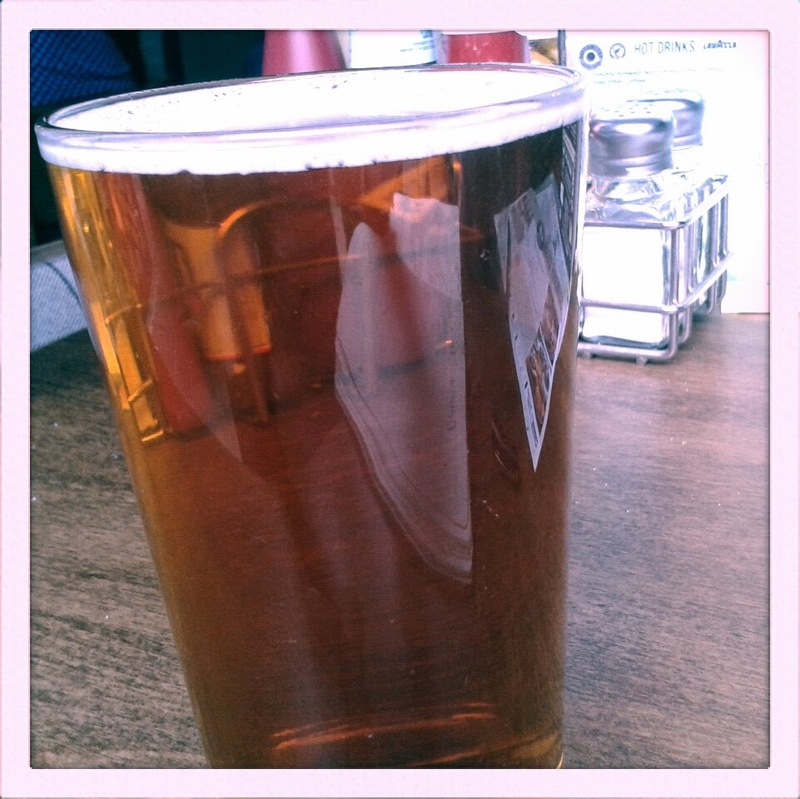 There’s something undeniably special about a beer early in the day. A cold shot in the arm when you know that nothing you have planned for the remaining sunlight hours requires the use of heavy machinery, the practice of heart surgery, or even driving. Beer for breakfast is a good thing. In moderation. Don’t be a dickhead. 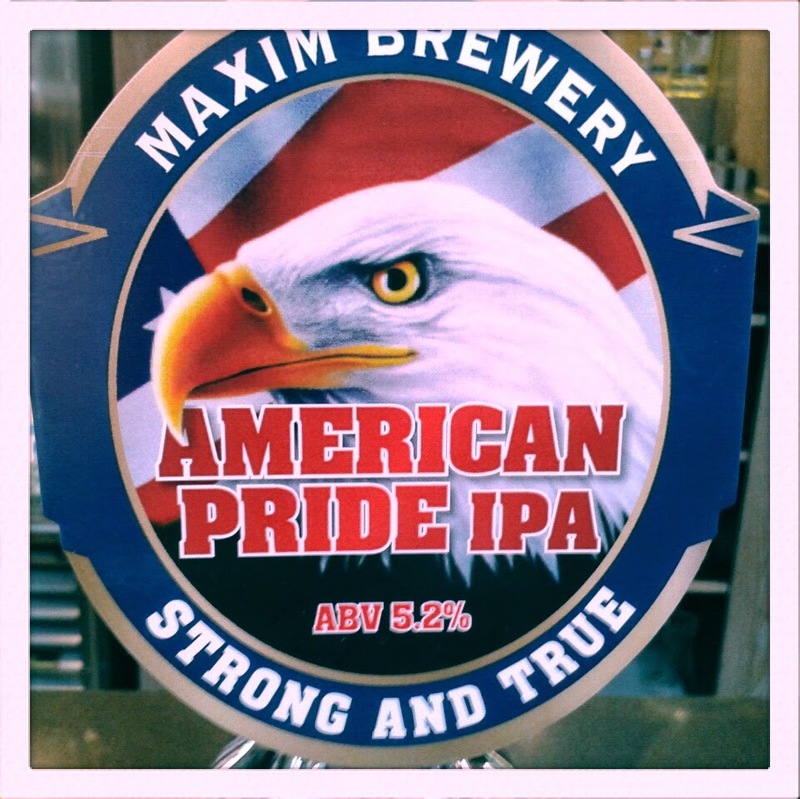 It was with a cold pint of focus and clarity in mind I hit my local Wetherspoon’s for a jar of Maxim Brewery’s American Pride IPA. God damnit, just look at that pumpclip. From the pump this India Pale Ale poured the polished brass of a freshly buffed memorial bench plaque, with a head that started off small and quickly settled to even smaller, finally just a corona of bubbles around the rim with a spatter of foam on the surface of the beer. The scent of lemons was strong, punchy and pugnant in the first scent, and the first mouthful was a dry-tasting citrus wash, which on a hearty glug had a slightly abrasive texture- an engaging imbibe! It was at this point that I realised the downfall of tasting a beer at Wetherspoon’s. 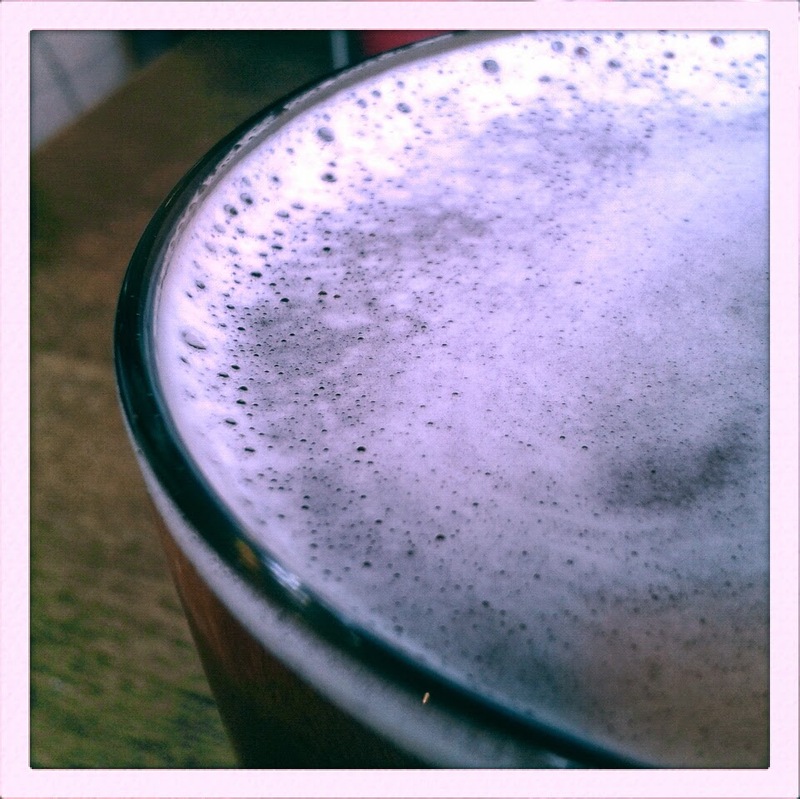 The first beer I reviewed for this blog, Sixpoint’s Bengali Tiger IPA, was brewed specifically for Wetherspoon’s and I wonder if as part of their brief they included the phrase “sweat-proof”. To be concise, you really don’t notice just how much a Wetherspoon’s smells of sweat and food until you have your nose half an inch above a pint glass and people are giving you the weirdest looks. Bengali Tiger’s scent survives the ambient smells of a ‘Spoons. American Pride’s nose appears to be smothered after the first mouthful or two go down. Soldiering on, because the life of a beer writer is full of brave sacrifices, further drinks see the the flavour mature into a definite smack of orange peel and pith, before the taste notes jumble together like free jazz at the end of the night into a swamp of citrus fruits of an indeterminate species. Barley and dry, straw-like tastes rattle about in there as well, especially as the ratio of air to beer in the glass increases. The requisite citrussy refreshment of a good IPA is more than apparent, and by half way through the glass the taste is essentially a mixed barrel of fermented fruits of the orchard, fat and fecund with summer sunlight. There is an intriguingly fey taste of dry paper in there as well, a kittenish taste that’s somewhere between flavour and texture, as if a packet of Rizlas magically survived being dropped into the brewing process. With three fingers of beer remaining American Pride develops a real snap in the aftertase, the click of an apricot mouse trap. The whisper of a hint of the taste of cigarettes appears and then disappears, never to be seen again, as the drinking experience comes to its close. Skulling the remains of this beer gives a citrus tumble of scorched oranges, and a second serving is instantly tempting. American Pride doesn’t give me the grand vistas of the United States with each drink. It’s more Sunderland than San Diego, more Seaburn than the Salt Flats, but this isn’t a problem unless you demand your beer tastes exactly how the label art says it will. American Pride is a fine IPA which contains no eagles at all. Whatsoever.